You know what that means. Spikes in temperature. Kids running around the neighborhood like crazy. Insane increase on your electric bill because you have to pump the AC in order not to melt. You know, normal summer stuff. 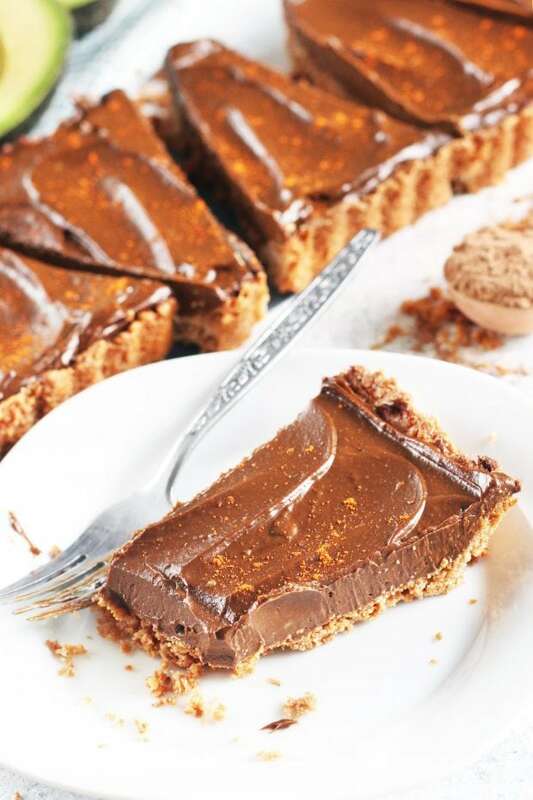 SO, it’s about time for a cool dessert to refresh our palates with, am I right? Now, before you all scream at me for bringing a dessert into your lives in the middle of swimsuit season, let’s all take a deeeeeeep breath. 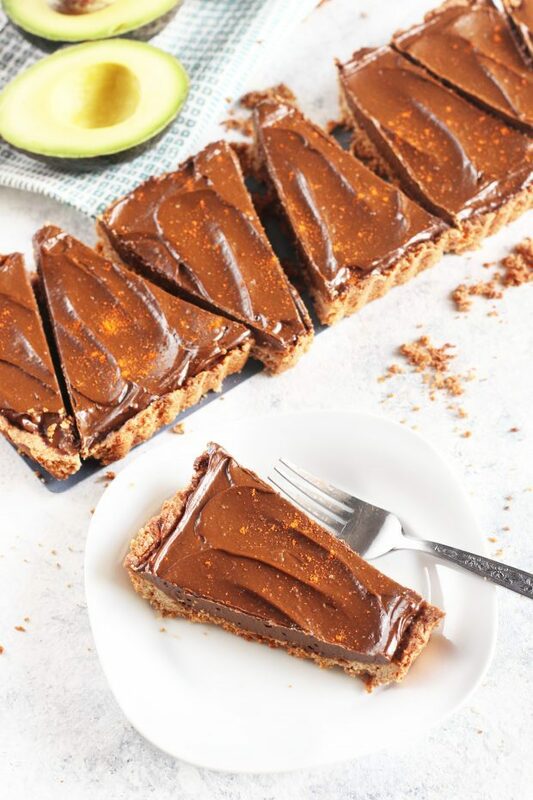 Not only is this dessert vegan-friendly, it’s HEALTHY. That’s because the crust isn’t a traditional crust with tons of shortening or butter. 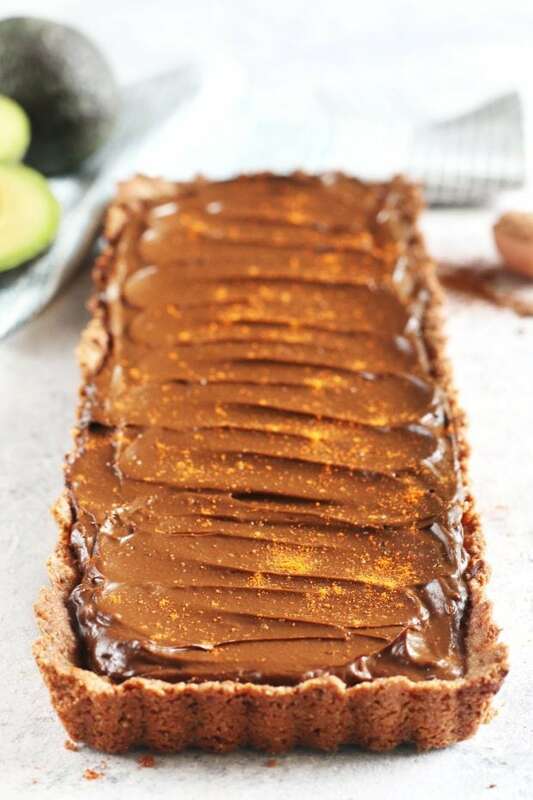 The filling is also light because of the avocado being used to get that creamy chocolaty goodness. 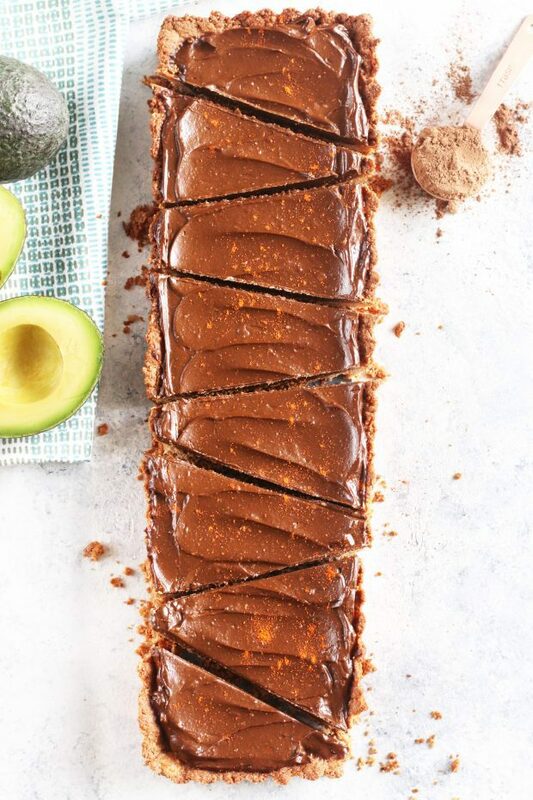 It always amazes me how easy it is to use avocado as a healthy substitute for desserts in addition to using it for a healthier fat option for savory dishes. You would think the flavor of the avocado would overpower the flavors in the recipe, but it honestly doesn’t. 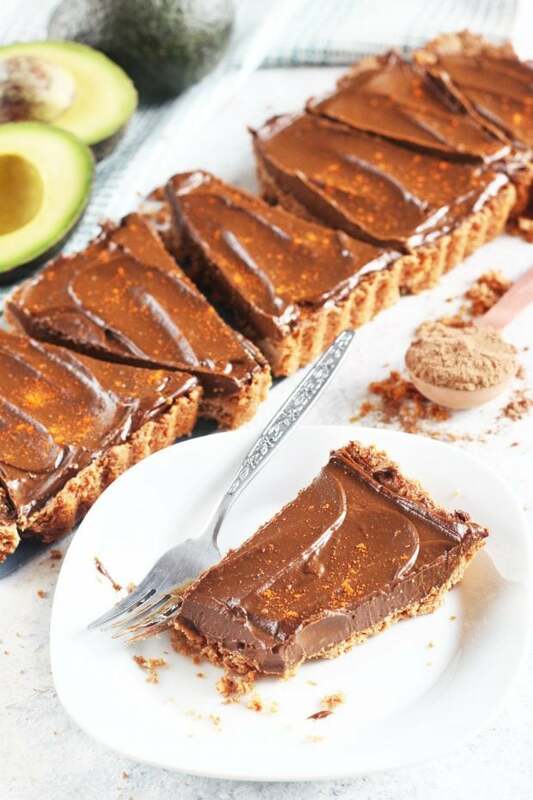 You get all the creaminess of the avocado in this dish, but the flavors of chocolate, spice and a slight sweetness, instead of the actual avocado flavor. 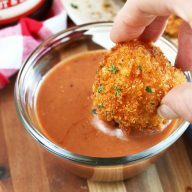 Not to mention, it’s an incredibly easy dish to make. Most of the time spent making this dish is actually passive time waiting for something to bake or chill. 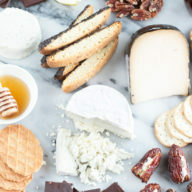 You will spend about 15 minutes of actually active prep time for the recipe, making it simple and easy to serve up for a party or whatever gathering you have planned. Plus you can make it up to 3 days ahead of time! 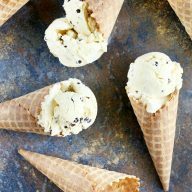 Simply store it in the refrigerator covered with foil until you are ready to serve. 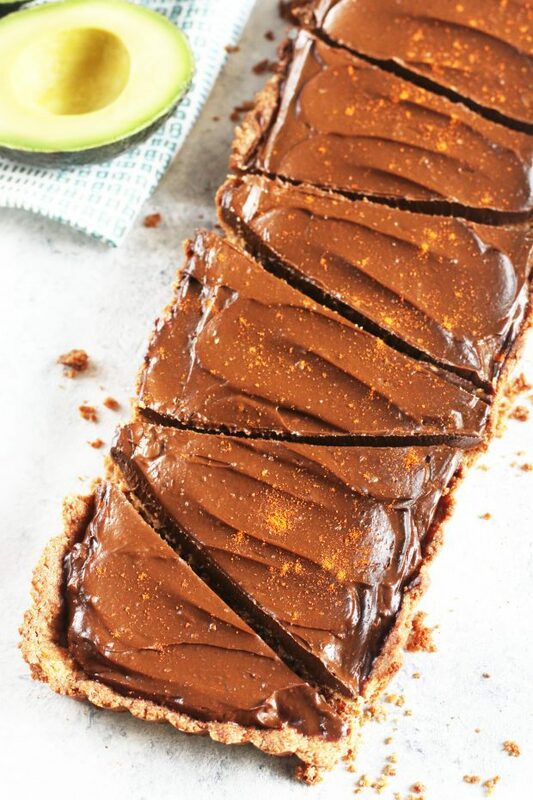 Pin this Spicy Chocolate Avocado Tart recipe for later!